How to make Intros Outros Google+ Covers just with few taps ? Have You ever wanted to make YouTube videos ? Or planning to start Channel? Want to make cool Intro/Outros? but don’t know how to make one cause it needs knowledge of After effect and premiere ! 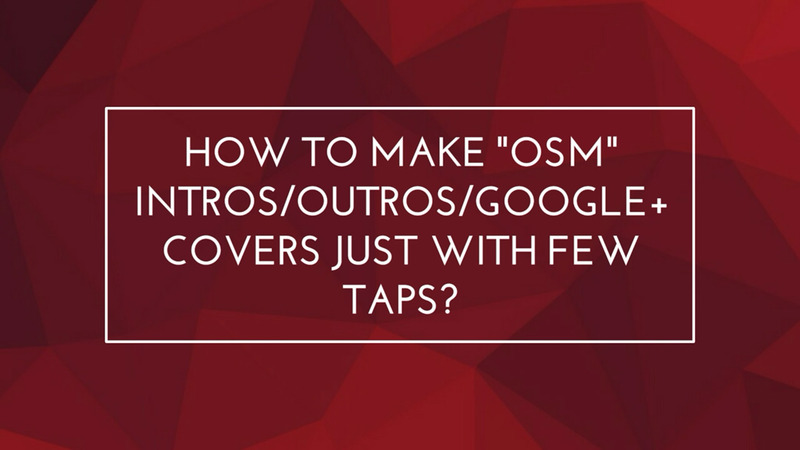 Or you’re just wondering how we made “Osm” cover pic on google+ page? Don’t you worry cause we are here to share help. We are going to use one Osm app called “Legend”. Let’s look at the features first. stars Features and Why its Unique? If you enjoyed and felt awesome then Share this tutorial. Have an Osm Day ! Share the post "How to make Awesome Intros Outros Google+ Covers just with few taps ?"